The Widmer 30-MD Currency Counter w/Counterfeit Detection saves time and money. 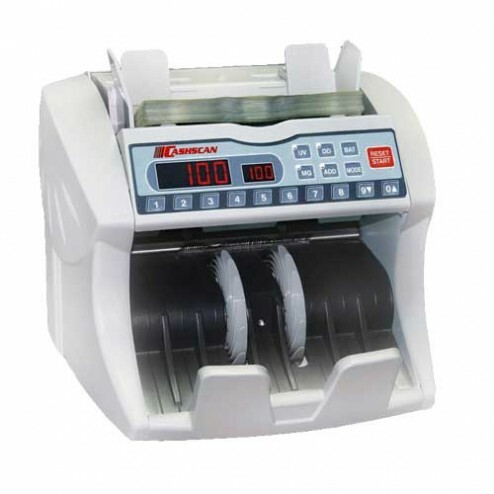 The Cashscan Model 30-MD currency counter is quickly earning a reputation for being one of the lowest-cost, lightweight, low-noise, low-maintenance and highly accurate currency counters on the market.The Cashscan Model 30-MD is a high throughput counter whose features include Auto-start, three speeds ranging from 900 to 1,500 notes per minute, automatic density adjustment, preset or user selectable batching functions.This unit will allow you to not only count currency but to also verify the authentication of the currency you count. Advanced counterfeit detection using multiple magnetic heads.